Got a question? Interview request? Speaker invite? Awesome!! I would love to hear from you and the easiest way to get in touch is to simply fill out the form below. Please know my team reads every message and typically responds within three business days, working Mon – Fri, 9am to 5pm, Australian Eastern Standard Time. Where I can respond directly, I will too. 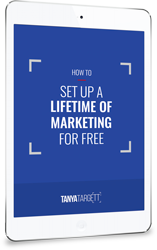 Enter your details to download the 10 Simple Steps To Free Media & Publicity checklist.